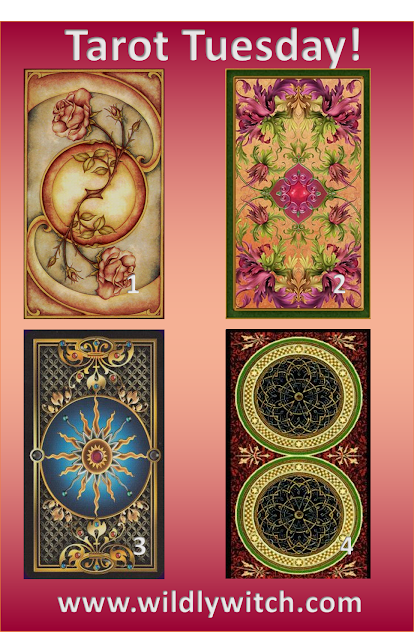 It's Tarot Tuesday. Are you ready to hone your intuition this week? Remember, ground yourself. Take some deep breaths, close your eyes for a moment. Open them. Now choose the card number above that speaks most to you. Remember, choose only one. This helps you really hone in on your intuition. 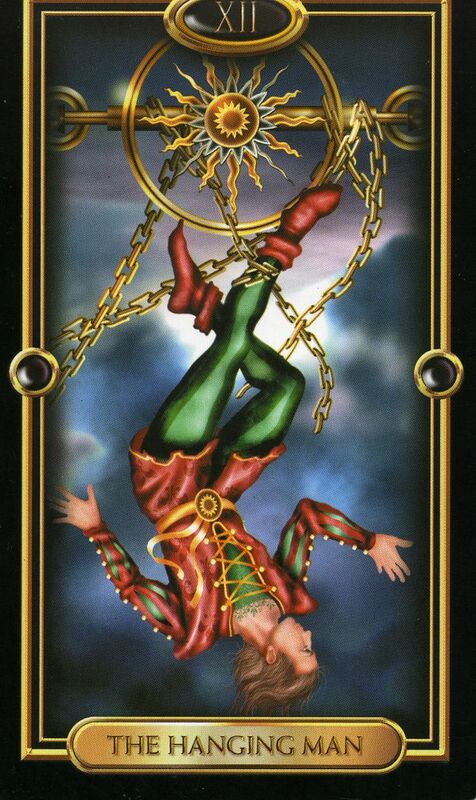 When this card is in the present position, you are feeling on top of the world and in charge. There is a strong possibility that you were recently given some new level of authority and you are embracing this as a sign of success. At its weakest, the Two of Wands here means that you can feel emboldened to raise your voice in objection to wrongs that you see. You're about to fit things together in new or unusual ways. Work is about to get a lot smoother, and if you're looking for employment, you are about to find the right fit. Don't let anyone knock you off your stride. You're more together and balanced than you might realize. 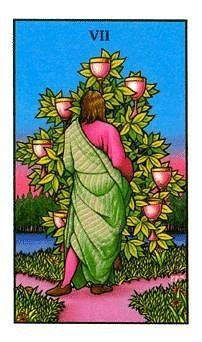 The 7 of Cups is a card about choices. It often indicates confusion and can even also point to disorganization and too much going on. Are you feeling a little frazzled? Perhaps too many things are coming at you at once? In general. this card points to a need to narrow your focus. When it appears, you are probably trying to do too much, and doing most of it not very well. Choose just a few of the myriad things that are on your plate, and work through these items one by one, carefully. You may be feeling overwhelmed. Remember that you can control at least in some areas, how much you are trying to take on. The old question, "How do you eat an elephant?" is answered with, "One bite at a time." 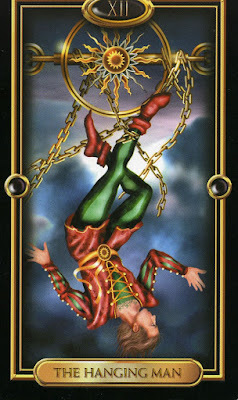 The Hanged Man generally shows that you are at a crossroads - one with only two options i.e. in or out, up or down, yes or no. You may find yourself very much wanting to do "something" but having no idea what it is or how to do it. If that happens, that's a clear sign that you should stop, relax, and look at ways that you might need to let go of attempts to control life/situations/people/things. It's possible that there is an outdated attitude or wish from which you need to let go. Any sacrifice that you make will open up your life to something even more positive than what you "let go of." All in all this should be a thoughtful, reflective time, particularly if you are willing to look at if or how you might best serve your own interests by being willing to change. Remember, the word sacrifice means, "to make sacred." Odin hung himself on a tree to obtain the runic wisdom. Let go, and trust yourself. You know exactly what you need to do. Have things stabilized recently? Are you enjoying the first stages of a new commitment that seems to be working out? Are others looking to you as a source of support and encouragement? Have you gotten through a series of tests, exams or obstacles recently and are more established than ever before? 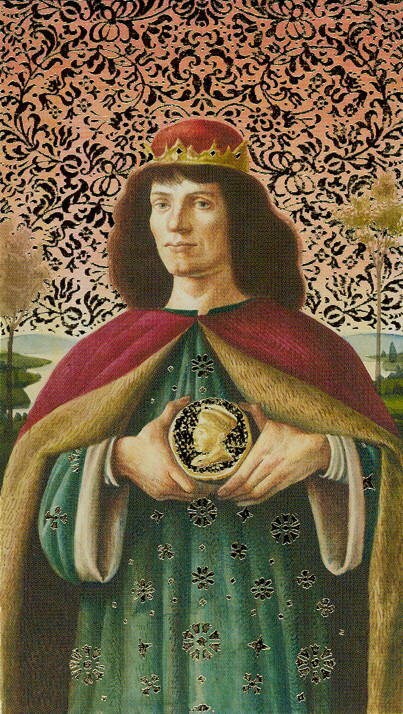 When you reach a plateau in life that confirms a feeling of competence and security in your outlook, expect the King of Pentacles to appear in your Tarot reading. When this card is in the present position you are bound to be feeling better about things. Peace and serenity are on their way, if they are not already core components of your current existence. The King of Pentacles in this position offers you a unique opportunity to take stock of where you have been and what you want to do with your life. 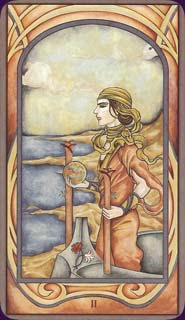 When you have received the King of Pentacles in your reading you have a resourceful and dependable spirit. You are watchful with good instincts and you are a good leader. You tend to be ruled by the drive for stability and comfort, and this card is representative of a father and a provider kind of energy. Enjoy this period of time! How did you do? Leave a comment here or on the Facebook page. 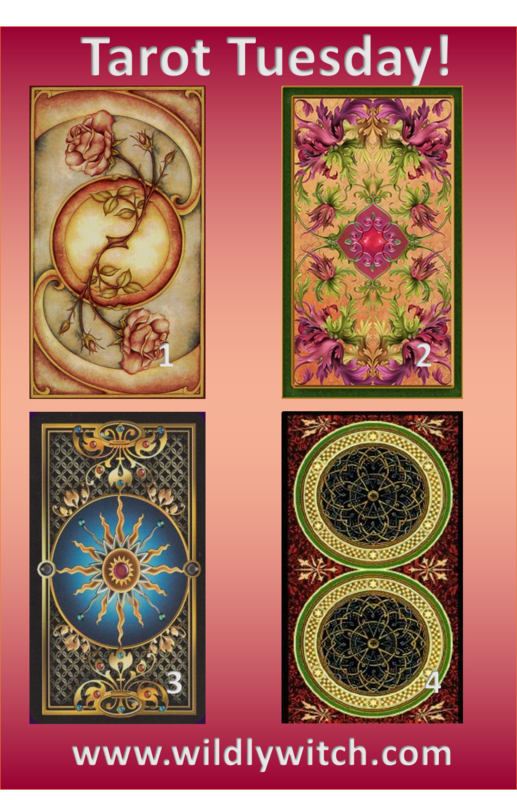 Are these Tarot Tuesdays helping you? Feedback is encouraged here!